The Purchase of Maps helps contirbuter to the Cost of Operating this site. 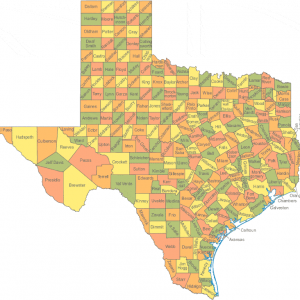 Get Your State Maps showing counties, roads, highways, cities, rivers, topographic features, lakes and more. Enter The State Map you want in the Comments Section at Check-Out. Our Maps are constantly being updated. If your Map is not available or if the Download Button doesn’t appear at the time of Order you should receive an Email Link with the Most Current State Maps ASAP. The Lowcountry Gem and Mineral Society (LGMS) of Charleston, South Carolina is a non-profit organization. The society was chartered on April 18, 1969 by Skiles F. Montague. Our purpose is “to foster the interest in and to facilitate the study of gems, minerals, fossils, and other related fields of geology and earth sciences” throughout the Lowcountry. The society is a founding member of the Southeast Federation of Mineralogical Societies, Inc. and an affiliate of the American Federation of Mineralogical Societies, Inc. The society is also a founding member of the Southeastern Federation earth sciences. The Society is a non-profit organization whose purpose is “to foster the interest in and to facilitate the study of gems, minerals, fossils, and other related fields of geology and earth sciences.” Youth Program: We welcome all ages, however, we do not have an established Youth Program. Instead, we incorporate our younger members into our meetings. Within our community, our members often make presentations in the local schools and youth organizations about geology and fossils. For the past 2 years, we have participated in the Annual Kid’s Fair of Charleston, SC. There, we involve the children and their parents in a Question and Answer sessions about the many display items, which come from our members. We also do mini fossil digs, like the one we have at our annual gem show, for the children. Here is some information about fellow gem club organizations throughout SC and NC: http://www.amfed.org/sfms/club-nc-sc.html. Pendleton District Gem and Mineral Society Click here for this month”s Newsletter. The Pendleton District Gem and Mineral Society is now meeting at 6:30 pm. at the Central-Clemson Library on Highway 93 just before the highway narrows to two lanes before entering Central. Western South Carolina Gem and Mineral Society, Inc. Source: Western South Carolina Gem and Mineral Society, Inc.
SEGAMS: The Sioux Empire Gem and Mineral Society is a nonprofit, educational “family friendly” club established in 1964. We get together to share our hobby and knowledge about the earth sciences, fossil identification, rock collecting, lapidary and other related topics. Our activities include club outings, educational outreach, monthly programs and other public events. SEGAMS is a member of the Midwest Federation of Mineralogical and Geological Societies and the American Federation of Mineralogical Societies. SEGAMS members are eligible for scholarships and other merit programs through these two societies. Western Dakota Gem & Mineral Society Rapid City, SD. The purpose of our club is to promote interest and education in geology, mineralogy, paleontology, archaeology, and lapidary, to sponsor and provide means of coordination the work efforts of groups and individuals in these science fields.